About me: I’m a Lawyer, Thinker, Runner, as I describe myself on Twitter. I was born into a family of a rocket scientist (dad) and social worker (mother) in Bangalore, India. Having a leadership/public speaking bend of mind, I majored in Business Administration and Law from a top law school in India. Getting placed into the risk management practice at Deloitte, I decided to pursue an MBA as a logical next step to gain a masters in business administration and advance my career opportunities. Outside of work, I play the violin and I am quite addicted to my PlayStation. Biggest challenge: It has to be the math! Having not studied math since high school, I was badly out of touch with it. Five years in law school further distanced me from it. Though I was pretty good at math in school, I had to spend a few months just getting acquainted with all the concepts once again. I sat with my high school text books and solved the Geometry and Algebra all over again. Once that was done, OG’s Quant and Magoosh’s videos helped me step up. A second area would be reading comprehension. I used to lose focus by the time the third and fourth passage came up and would unwittingly go down the ‘Sunday newspaper syndrome’ road (I would just read the passage mechanically without paying the right attention to detail). Magoosh’s videos on RC really helped. I made sure I was involved in the passage the entire time by constantly telling myself, “Wow! I will get to learn something new from this passage today” (though invariably they are extremely boring). I also started taking notes from each paragraph of the passage which turned out to be very helpful too. First and most importantly, keep calm and don’t give up! 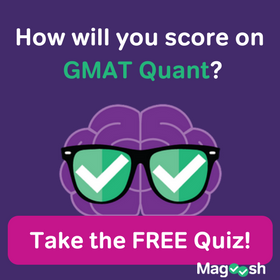 The GMAT is by no means an easy test and it can get to you after a while (especially when all those hours of practice don’t convert into the scores you are hoping for). But then, nothing in life comes easy. As Stallone says in Rocky, “It ain’t about how hard you can hit. It’s about how hard you can get hit, and how much you can take, and keep moving forward.” Well, it’s not that bad either, but you catch my drift right? 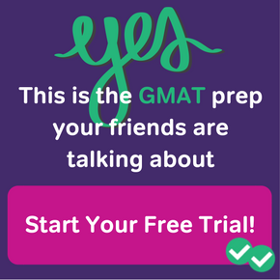 Practice as many questions as you can and solve at least five practice tests before test day. Secondly, be an intelligent test-taker! The goal is not to answer all questions correctly but answer most of them correctly in the given time. So pace your test wisely and make sure you attempt ALL questions on the test. If you are stuck with a question for more than 3 minutes, make a good guess and move on. 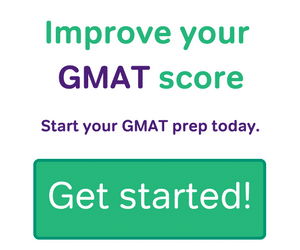 By doing so, you can potentially improve your overall score significantly. 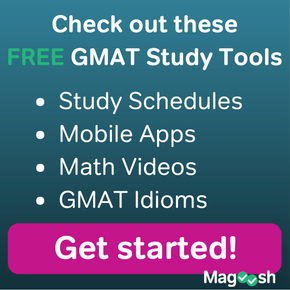 Thinking about getting your JD/MBA? Here’s a professorial perspective on this challenging endeavor!